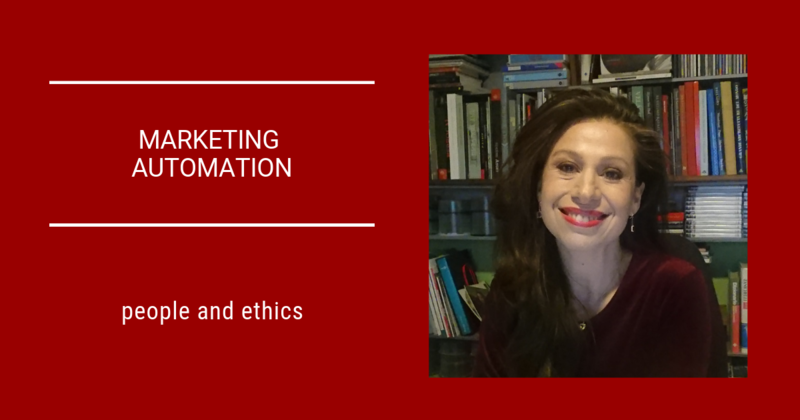 Automation ethics: this week I have a different kind of article for you, and it has come as a result of a video I published last Thursday on Linkedin, talking about an automated email I received. The many comments left, publicly and privately, led me to reflect on the topic of Automation, GDPR and our work in the Marketing industry more deeply. For that reason, I decided to dedicate this blog post to this topic, specifically to how and when to apply automation and the ethics that need to be considered. Personally, I think marketing automation benefits are multiple. It is a fantastic method that can help any business owner and it can be applied to many things (emails, social media, customer journeys, website, etc); but we need to remember that we do business with people and for that reason, ethics are involved. The Artificial Intelligence era has brought many new terms (and practices) to our daily lives and Automation has been “the” buzz-word of recent years. Automation is a practice that has become more and more common for everybody. But it is not a new thing, at all. Remember that rule you created years ago in your Outlook, the one that forwarded all the emails received from a specific sender into a particular folder, so you could have all those emails in the same place and save yourself time? Well, that was also automation. The difference, in that case, was that the tool you used to create the automation and its results affected only you and in fact, saving yourself time and improving productivity were the reasons that made you create the rule. Automation is fantastic at optimising performance, especially with some of the more repetitive tasks. A completely different question arises when automation (and the algorithm used) affects others, as in the case I mentioned in the video. This includes all the practices that allow you to have data and use it to communicate a message to your targeted audience, at each step of the customer journey. Here, we are talking about Marketing Automation. This is the automation you use in your marketing practices, including everything from Social Media posts to messages like the email I received. In short, automation here is directly related to your ethos (or the ethos of the company you work for), and this point is paramount because it will define the limits of your automation as well as how you use it, when you use it and with whom. And the truth is that, when done correctly, it can produce the highest ROI. This major topic has been under debate for some time. So I want to simplify things here and give you a short overview of automation and its uses. Automation refers to any action that is being carried out automatically thanks to the use of certain tools. It can be applied for personal use or within the context of any small business or organization’s marketing plan. Let’s take a very simple, daily automation as an example: you write a Social Media post today and schedule it to go live in a week, using a tool (like Buffer, Hootsuite or any other), so you can reach your audience at a precise time (you can then use that time to do something else). So, why do you use automation in this example? Well, the goal is similar in both the personal and business contexts: to save time and increase efficiency but mainly from a marketing perspective, the ultimate goal is to generate more revenue. Automation also makes dialogue between a couple of apps possible even though they are not necessarily connected. For example, you can use automation to save email attachments to your Google Drive, improving productivity and helping with general file organisation. But if a business uses segmentation in their email communications (a particular technique that divides email accounts into groups to better target the message), the goal is to provide a better service to the reader but also, and ultimately, to gain or keep a customer. This is the realm of so-called “Inbound marketing” where a business uses all the data to better understand the client’s interest and offer them the right information at the right time, so they can make a purchase. It is evident to those of you, working in the marketing world, that the “customer journey “concept is important and here, one of the most important things to remember is that relationships take time to build. So, the very first step is to have a good plan with a solid pipeline, so when you send out your content (based on your audience’s needs), that content is seen as relevant. People do business with people, so remember that even if you use automation, we need to treat our leads and customers with utter respect, and if possible, make them feel special. If you receive a message that is tailored to your needs and moreover, to the need you have in a certain moment, you will be inclined to pay attention to the content and probably willing to close a deal. But the right moment is crucial: too soon can be seen as threatening; whereas too late would be useless. So, what was wrong with the message I received?  In the EU, you have to respect a regulation known as GDPR (General Data Protection Regulation 2016/679), which, in short, protects your privacy. So, they would’ve needed my consent (via email) to send me any sort of communication. I like to have a Positive Outlook on things. What have we learned from this about when to use marketing automation? I use automation, privately and also for my business. But again, the tools perform a function; how you choose to use them relates, entirely, to your ethos. 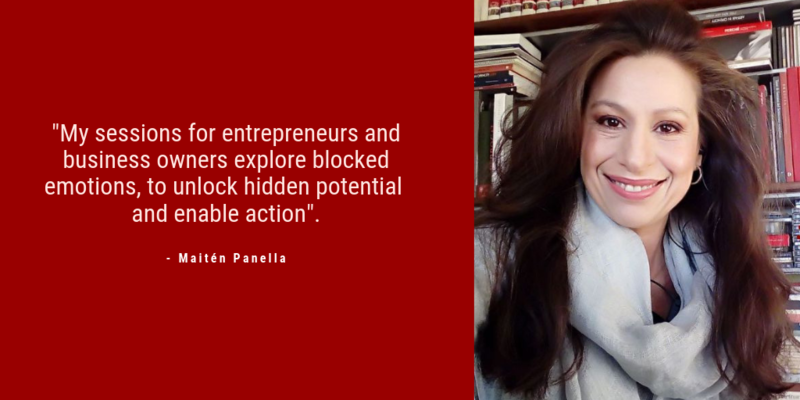 If you are curious about how automation can be used in an intelligent, respectful way and benefit your business, book a free 15-minute consultation with me.